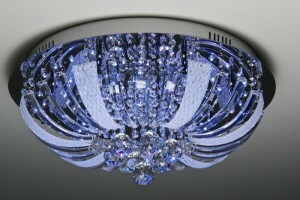 LED lighting is one of today’s most efficient and rapidly-developing technologies. They last longer, offer better light quality and are more durable. Like any other diodes, they consist of a semiconductor material doped with certain impurities to create a p-n junction. Current flows smoothly from the anode (p-side) to the cathode (n-side) not in the opposite direction. When an electron collides with a hole, it automatically falls into the lower energy level and generates photon energy. LED ceiling lights exist in different sizes and shapes, with excellent fittings available for any room. Whether your home is stately or terraced, you can utilize these lamps to positive effect. The type of illumination you’ll get not only looks attractive, but it’s economical. They last much longer than traditional bulbs and consumes up to 90 percent less energy. 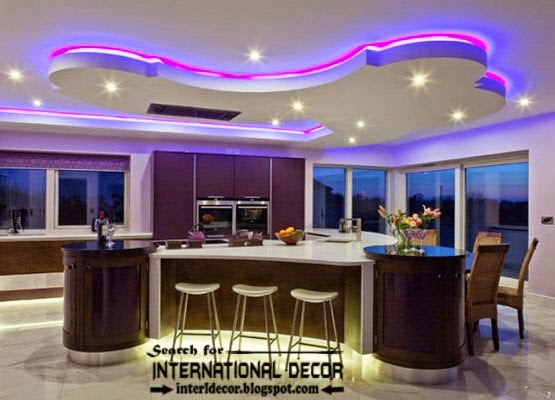 The possibilities of LED ceiling lights are endless. It doesn’t matter how small or big your house is you’ll always find something that perfectly matches your needs. LED ceiling lights are ideally suitable for applications which are subject to recurrent on-off cycling, unlike traditional lamps that quickly burn out when cycled frequently. • Installation is quick and very simple. A common indicator will attain full brightness in microseconds. • They are relatively small in size and are easily fixed onto printed circuit boards. • Being solid state devices, they are difficult to get damaged with external shock, unlike incandescent and fluorescent bulbs which are fragile. Light emitting diodes are the latest and most sensational technological developments in the lighting industry. They are small, compact light bulbs which are exceptionally energy efficient and durable. Additionally, LED lighting offers several other advantages, including longer life (60,000 hours), reduced maintenance cost, lower energy consumption, and increased safety. Currently, they are being used for numerous applications- automotive, residential lighting, broadcasting, industrial automation, aerospace, entertainment, and electronic instrumentation. Also, they are extremely energy efficient and use only a small fraction of the energy consumed by fluorescent lamps; there’s dramatic reduction in power costs. Since they don’t incorporate delicate components like glass and filaments, they’re able to withstand vibrations, shock, and extreme temperature. LED ceiling lights produce virtually no heat hence they can be left on for several hours without harmful effect if touched. They generate 3.4 BTU’s/Hour and reduce the potential risks of burns and fires.Moreover, they are fabricated with non-toxic materials, unlike conventional lighting options that use mercury which may cause danger to the environment. Also, they are recyclable and earth friendly. 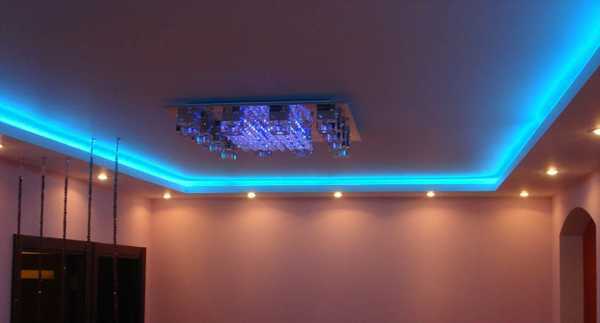 LED ceiling lights are available in a wide range of colors- red, blue, amber, and green. Since incandescent bulbs use filters to generate colors, they’re extremely inefficient. Note that they can be combined to create millions of colors that can bring more elegance to your kitchen, bedroom, or even bathroom. If I fit MR16 bulbs do I still need to identity the anode and cathode? With an LED MR16 you can connect either way. The most important thing to check is if you are powering with an old halogen transformer that you have MR16s which can be used on AC.